Join TAFER Rewards for instant discounts and privileges. 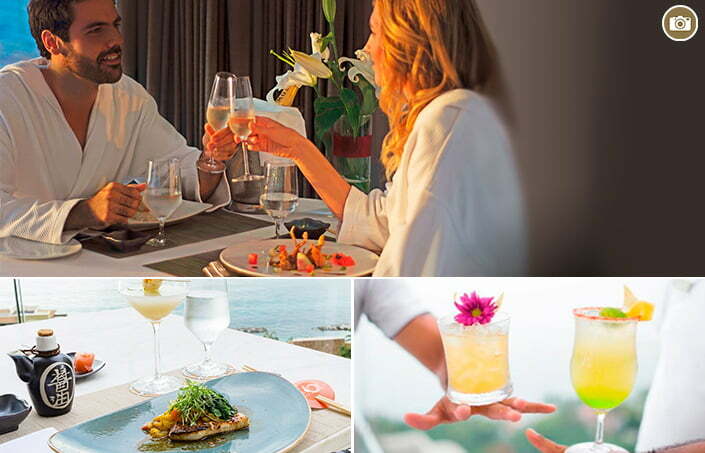 Enjoy an all inclusive package gourmet-style at the Hotel Mousai adults only resort. With the finest restaurants on site, you will be dining on cloud 9! 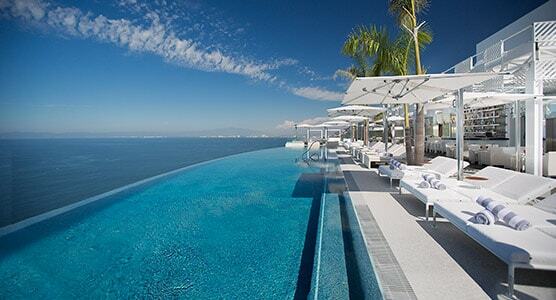 What’s Included in this Puerto Vallarta All Inclusive Resort? Be playfully seduced by Hotel Mousai’s restaurants with melliferous menus and gourmet artistry, touching base with garden-fresh ingredients and trendy presentation that will leave you whirling in a culinary circus of flavors, aromas and textures. Alcoholic Drinks and wines by the glass included from a select variety of Premium local & international brands at the resort restaurants and bars from 10.00 am to 1.00 am, as well as flavored water and regular soft drinks, standard tequilas, house brands, soft drinks, chilled juices and local mineral water. Bottled drinks are not included. Only house wines and House Premium liquors are included in the packages. Other wines and Golden Premium or Elite Brands will be charged accordingly. 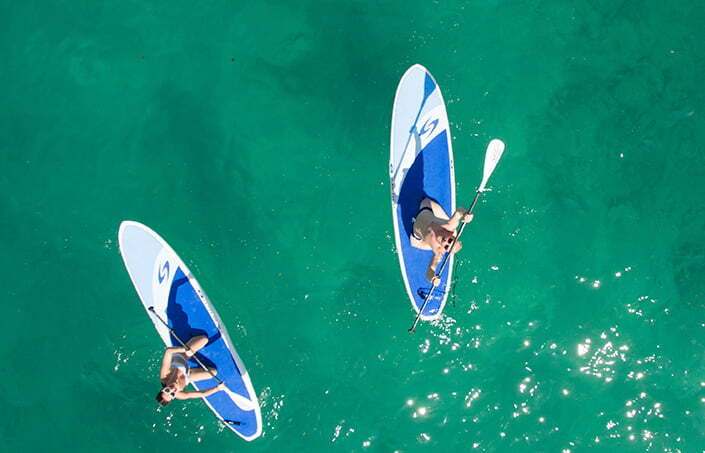 Activities and Entertainment, board games and non-motorized water sports. A fun packed variety of activities has been crafted to ensure that playtime at Hotel Mousai is both chic as well as inspiring. Take your pick from a range of heart pumping, soul searching, taste bud tempting and talent tweaking activities. Designer signature bathroom amenities, bathrobes and slippers (for your use while staying at Hotel Mousai). Daily maid and turndown service (Siesta Turndown service upon request). Selection of books, national and international magazines and journals, Valet Parking service and private security 24/7. 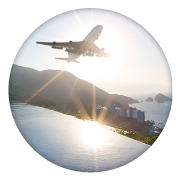 Personalized check in and concierge service. 24/7 Room Service menu. Deluxe Servi-bar with premium labels (first set are included, except Champagne). To the gym, all pools and outdoor jacuzzis (according to pool schedule). Towels and pool amenities are available. Tax, service and gratuities included (individual tips welcome). Complimentary basic internet service (1MB) for unlimited devices. Do you need help with your reservation? Additional accesories, doctor’s visits, etc. Premium internet service (6MB) from $17 USD by 24 hours, for 4 devices. Check out is at 11am, at which time All Inclusive privileges terminate. Purchases at the restaurants or bars after this time must be paid for with a credit/debit card directly at the restaurant or bar. This program cannot be combined with any other promotion. Discounts applied to the All Inclusive plan cannot be combined with other packages or promotions. You must wear and show your bracelet at all times and sign a check each time you order any food or beverages. All checks must be signed for by a registered all inclusive guest every time you order food and beverages. Each order included on the check must apply to you or a guest in your party covered by the All Inclusive package. Food and beverages may not be passed to other guests. Although tax and gratuities are included, should you desire to leave an additional tip, you may do so. Please note that any tips you add to your check will be charged separately to your account. The all inclusive food plan starts at 16: 00 pm on the day of your scheduled arrival and continues until your last day at 11: 00 am. (These times coincide with the official check in/check out times). Please note that we reserve the right to refuse service to obviously intoxicated guests or guests not observing house rules. The bracelet and the package are for personal use and are non-transferable. Misuse will result in your privileges being revoked without any refund. Once bought, the package cannot be cancelled and no refund will be given. If the bracelet is not returned on the day of check-out, a penalty of $110.00 USD will be charged per bracelet. 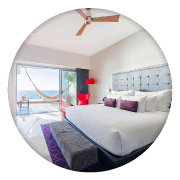 All inclusive packages are only available to guests staying at the resort. The package must be for all guests in your room and/or in your party. 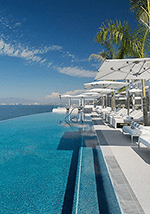 Puerto Vallarta, JAL. 48390, Mexico. Get an instant discount with our TAFER Rewards program!